Since its foundation in 1968 by the French engineer Henri Cambefort, SOL-EXPERT has been providing consultancy services in applied geotechnics. Now managed from its four main offices in Paris, London, Mexico and Singapore, it provides a wide range of services to international Clients. The company has a successful record of undertaking more than a thousand studies and technical assistance assignments in more than fifty countries using the approach of a contractor. Sol Expert is the ideal partner for clients seeking practical, cost effective and buildable solutions to geotechnical problems. We deliver bespoke design solutions and technical advice during the planning and execution of projects and also after project completion. The specific capacity of Sol Expert extends beyond the excellence of our design office , to cover laboratory analysis of constru ction materials, expertise in execution methods on all types of equipments, implementation of the upper standards in safety at works and appraisal of environmental footprint of projects. 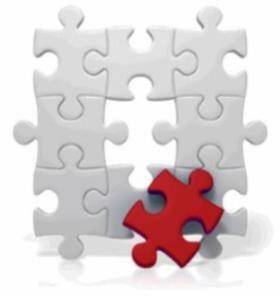 Whether it is giving advice during the pre-construction phase, troubleshooting during project execution or assessing the effect of potential defects post construction, Sol Expert aims to complete the picture by adding the missing piece of the puzzle.